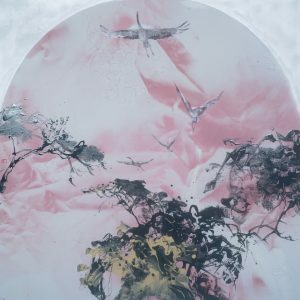 Born in 1963 in the Guangzhou province of China, Fan Shao Hua is a multi-talented artist based in Singapore. 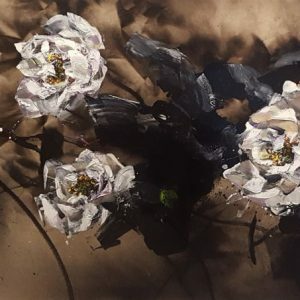 Fan first started to learn ink painting at the age of ten, when he studied painting the human figure and bird and flower subjects. 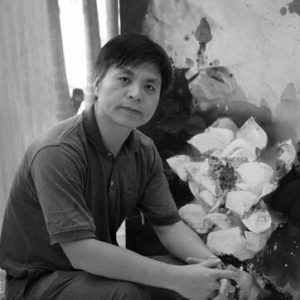 He graduated from the Guangzhou Academy of Arts in 1985, specialising in oil painting. 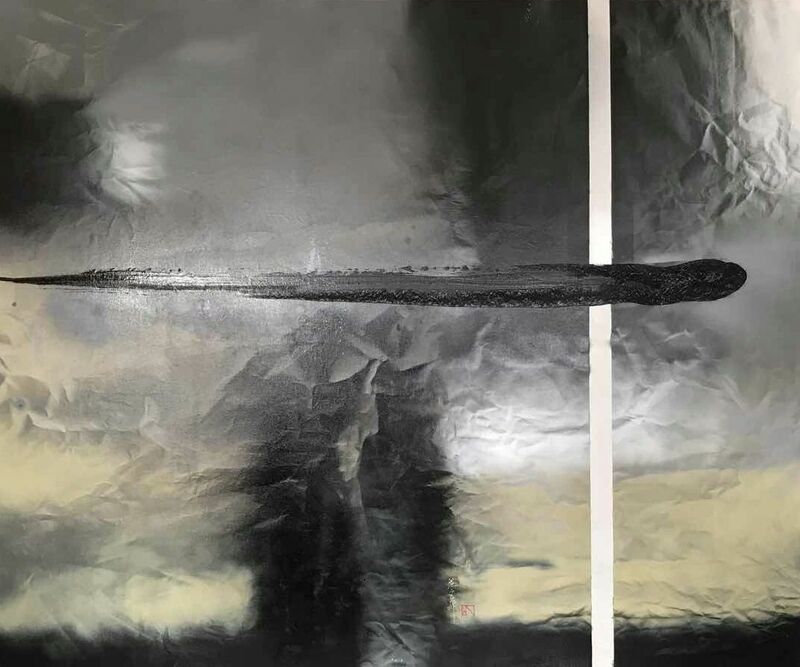 Fan has been a full time artist since then, dividing his time between his art practice and teaching for almost three decades. He moved to Singapore in 1992, where he has made his home since then. 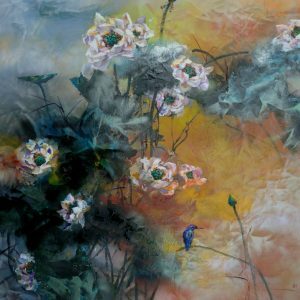 Fan’s lotus series explores the flower in all its spiritual and philosophical meaning. 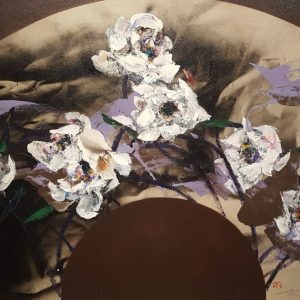 Fusing Eastern and Western painting traditions, he depicts the beautiful symbolism of the lotus blooming resplendent out of the mud, in spite of its surroundings. 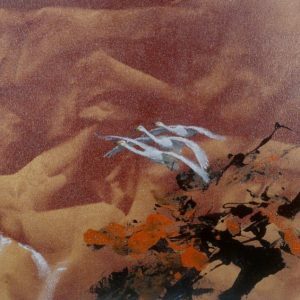 With the background layer in many works, the texture is often created by the unexpected gradient of the handmade paper. 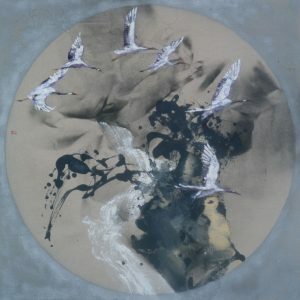 This creasing-paper technique is found to in traditional Chinese Ink Painting and Fan Shao Hua has fused this with contemporary expressions of masterful brushstrokes. 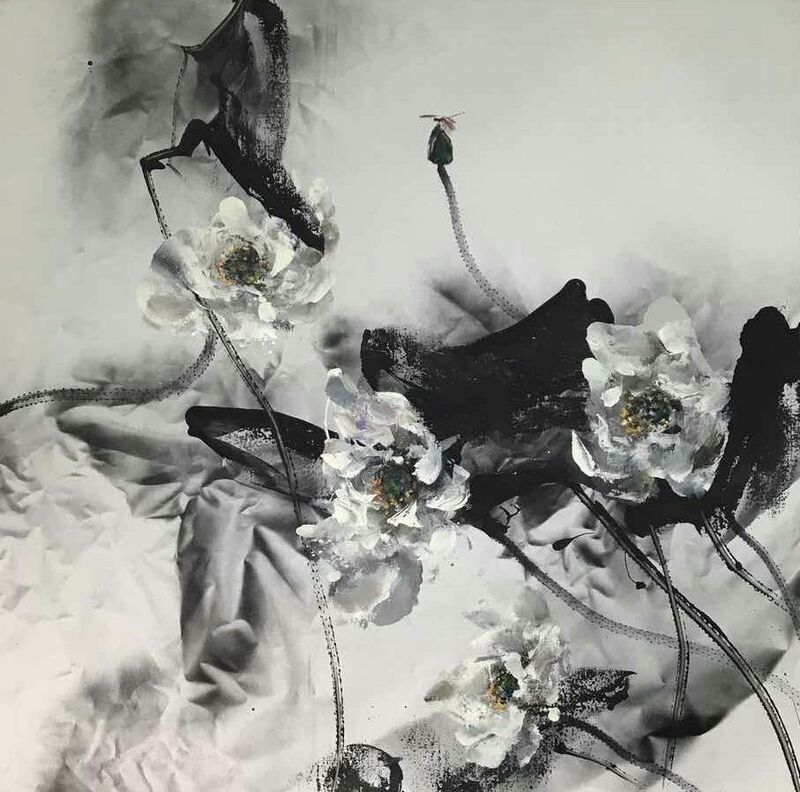 In most of Fan’s paintings from the Lotus Series, the image of lotus, depicted with bold and spontaneous strokes of an ink painter with the medium of oil paint, grows out from the chaos of colours, drips and splatters. 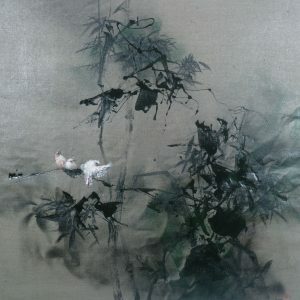 As the third layer, the lotus flowers, which seem to float above the surface, congenially disrupt the flatness, and points to a cyclical return to the figurative form. 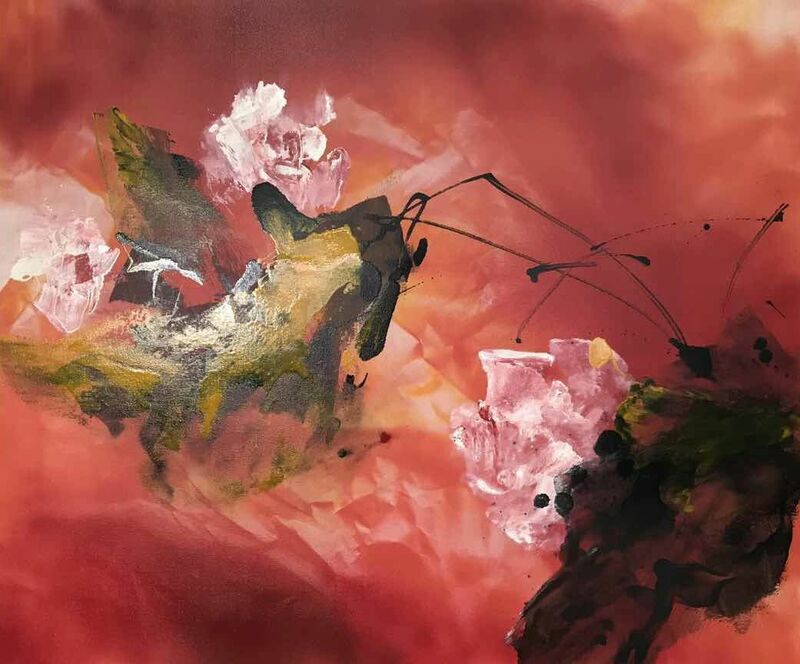 Fan clinched the top prize in the 19th UOB Painting of the Year award in 2000, and the International Premium Oil Painting Artist by the Hong Kong World Class Artist Committee, 2008, among several other awards. 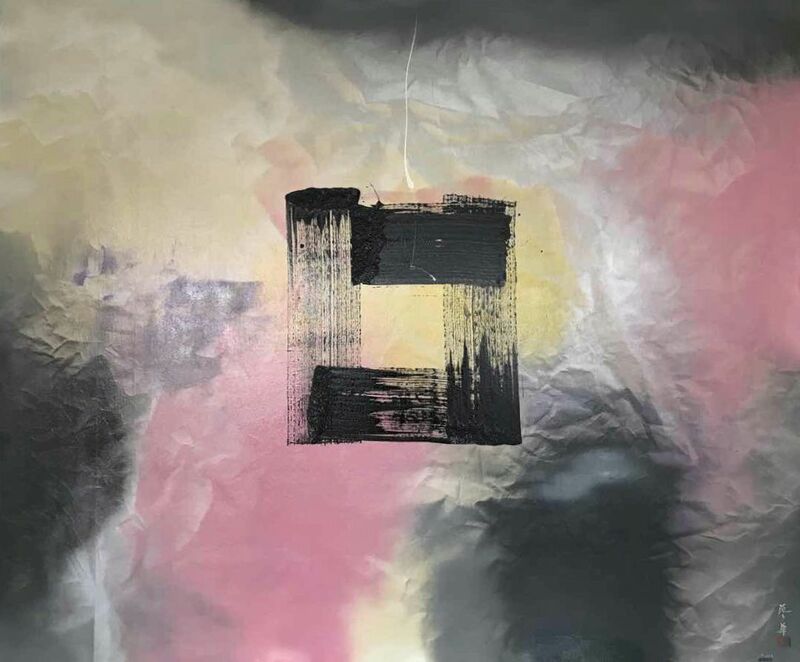 Most recently, Fan was invited to stage solo exhibitions at the most prestigious art museums of China, presenting “Essence.Life” in Shanghai Art Museum in Shanghai, Guangzhou Art Museum in Guangzhou, and the National Art Museum of China in Beijing. 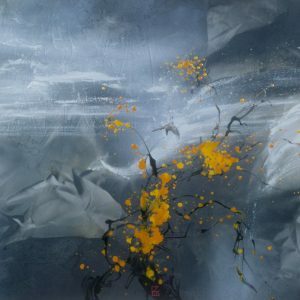 Having received many achievements and accolades, Fan has established himself as one of the premier Asian artist today.